Just Swell by Camille Roskelley for Thimble Blossoms TB144. 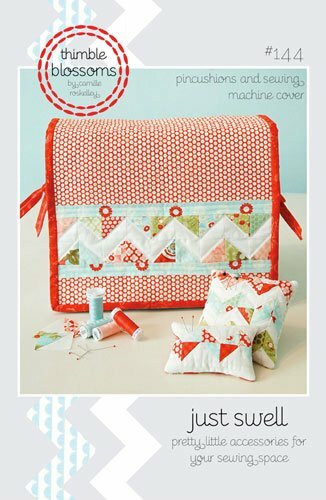 Pin cushion and sewing machine cover pattern. be easily adjusted to fit larger machines.